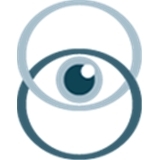 Eyes On You Optometry Inc (San Francisco) - Book Appointment Online! Dr. Vincent Dagron O.D. grew up in the optical industry. His parents are opticians and have owned optical stores in France for nearly 40 years. He remembers making frames and lenses in the back of his parents' optical store in Poitiers when he was as young as 10! Dr. Dagron trained at the prestigious Lycee Bernard School of Opticianary Science in Morez, France, where he earned the degree of master optician. Eager to learn more in the field of optometry he enrolled at UC Berkeley School of Optometry in 1996 and earned a Doctor of Optometry in 2000. While at school, Dr. Dagron started his own line of eyewear which he sold in 45 states by the time of graduation. Dr. Dagron was helpful in breaking the ice and helping me work through the anxiety I had related to my appointment. He took the time to chat a bit to get to know me, and also took plenty of time to answer questions related to my particular circumstances Additionally, the office staff were very helpful when it came to picking frames, and they were quite conscience and transparent when it came to price vs, what my insurance would pay.